Visit the famous Fairmont Banff Springs, which was built at the height of the railroad era in Canada. Bow Falls and the Fairmont Banff Springs Golf Course are located adjacent to the hotel. the Cave and Basin National Historic Site in Banff and the Banff Park Museum National Historic Site. 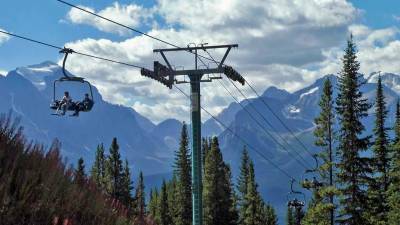 Banff Gondola – a few minutes south of the Fairmont Banff Springs, with views over the town. Mount Norquay Gondola – drive up the switchbacks on Mount Norquay, just a few miles north of Banff. Then take the gondola up for views of the valley and the Rockies. 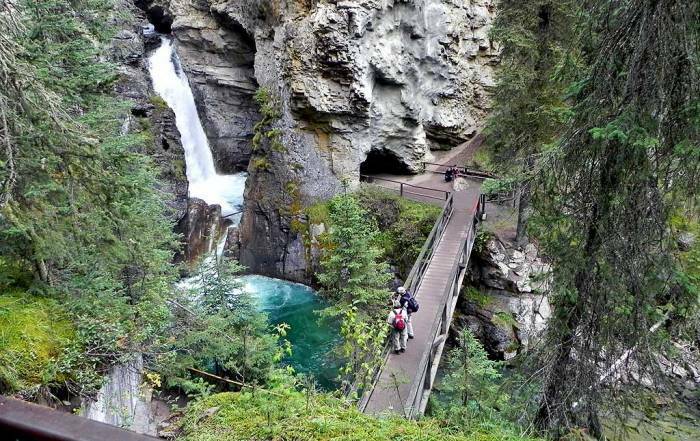 Johnston Canyon is a half hour west of Banff on the Trans Canada Highway. Bow Lake and Num-Ti-Jah Lodge – about 30 minutes north of Lake Louise on the the Icefields Parkway, which continues on to Jasper National Park. Stop for lunch or stay overnight. Take an easy 3 hour return hike to Bow Glacier Falls. This is the source of the Bow River. For an alternate hike, head to the alpine meadow of Lake Helen from the trailhead on the opposite site of the Trans Canada Highway from Bow Lake. 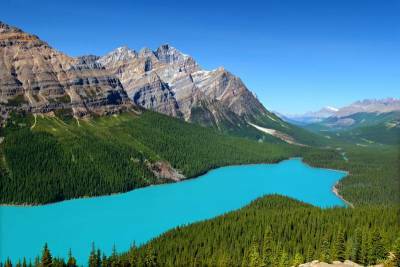 Peyto Lake – less than 10 minutes north of Bow Lake on the Icefields Parkway. 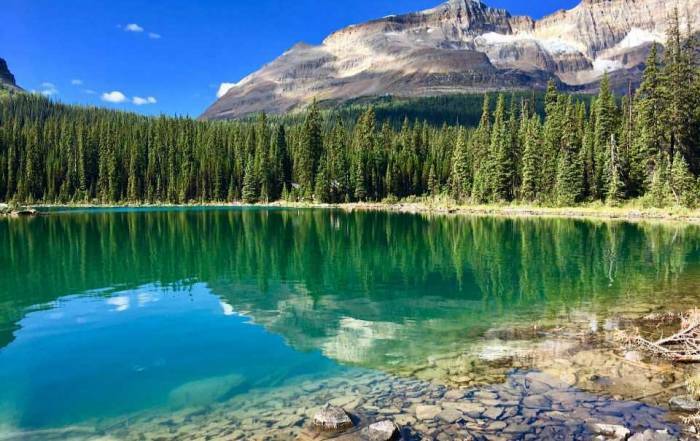 This is likely the most beautiful lake in the Canadian Rockies. It is also one of the busiest tourist spots at the height of the summer season. After viewing Peyto Lake, you can continue uphill and catch views back down to Bow Lake. Mistaya Canyon – easy access from the highway, just south of the Saskatchewan River crossing. Lake Louise & the Fairmont Chateau Lake Louise – an hour west of Banff on the Trans Canada Highway. 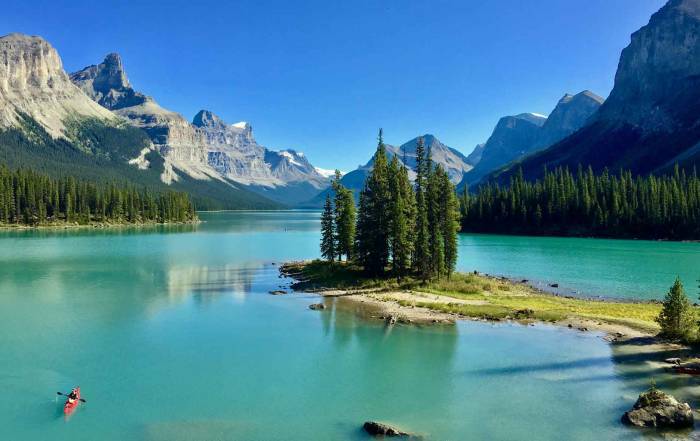 Be prepared for a massive volume of tourists here at the height of summer, as this is the premier destination for organized tours of the Canadian Rockies. Take a day-hike up from the lake to the Plain of Six Glaciers and stop at the teahouse. Alternately visit the Little Beehive, the Big Beehive and the seasonal tea house at Lake Agnes. Both trails start right at the hotel grounds at the lake. Lake Louise Gondola operates on the opposite site of the Bow River Valley from Lake Louise. Dine at the Lodge of Ten Peaks and the Whiskyjack Lodge, at the base of the gondola. At the top, enjoy the patio views of Lake Louise from the Whitehorn Bistro. The gondola supports the ski runs in the winter. Moraine Lake & Moraine Lake Lodge. Moraine Lake is tucked into the next valley south of Lake Louise. Walk beside the lake on a 45 minute return hike. Dine at the lodge. 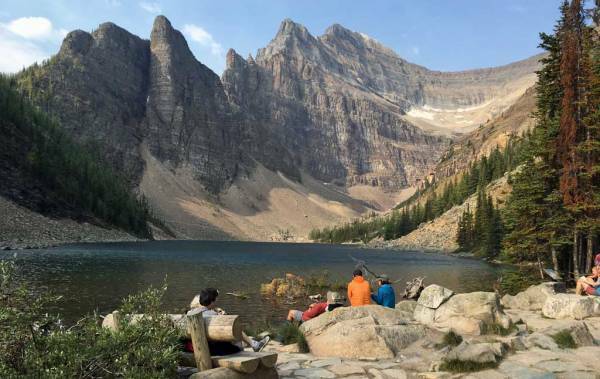 Hike into the back country of the Valley of Ten Peaks and Consolation Lakes. This is one of the most common areas in Banff National Park for problems with grizzlies, so be prepared. Carry bear spray and make noise while you hike. The park service sometimes sets minimum numbers for hiking groups in order to ensure safety. Banff has good summer weather in July and August, but evenings are cool. Snow is possible any month of the year. Fall brings cold weather by late September. Many tourist facilities are only in operation from May to October. January and February are the height of extremely cold winter weather, making for excellent skiing. Weather can deteriorate quickly with elevation, so hikers should be prepared for sudden changes in temperature and precipitation. 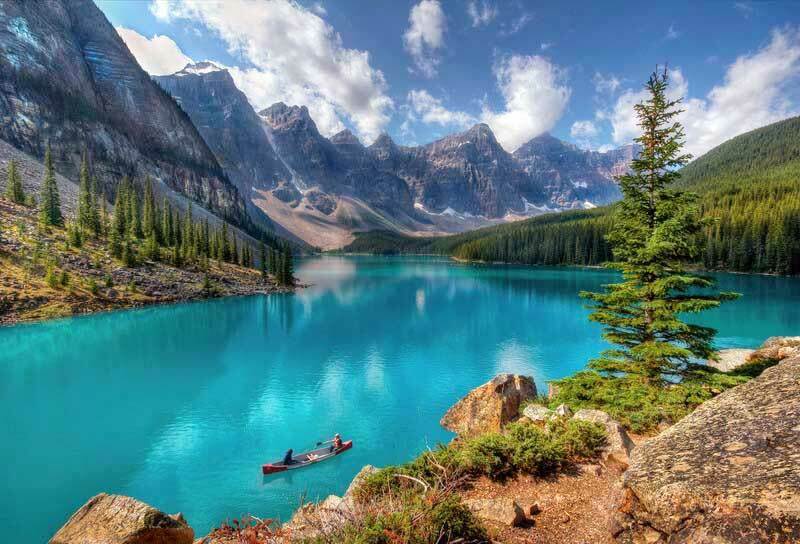 Take the Mountain Lakes and Waterfalls Day Trip from Banff. 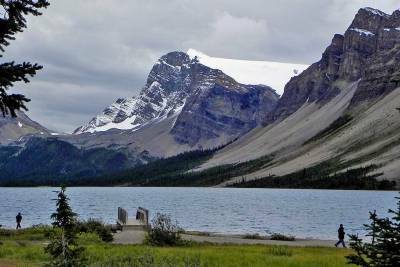 The day trip visits Johnston Canyon, Lake Louise and Yoho National Park. Athabasca Glacier Snow Trip from Banff. 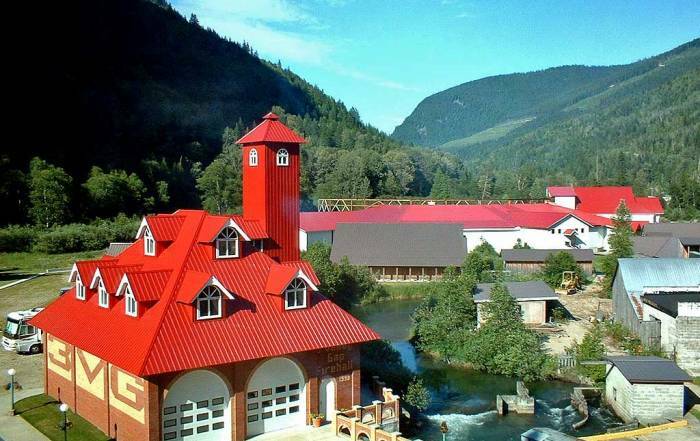 Travel 2 hours west to Golden and enjoy Whitewater Rafting on the Kicking Horse River. Ski Norquay, Sunshine and Lake Louise. 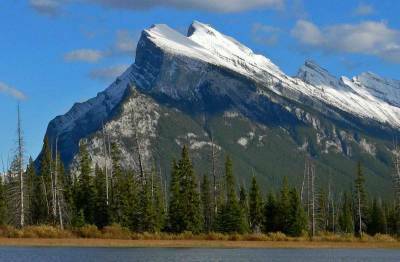 Calgary International Airport (YYC) is the access point to get to Banff National Park. Calgary is 1.5 hours east of the park. Rental car is the best way to see this area. A Banff National Park Pass can be purchased online in advance. You can also purchase tickets at the park entrance. Several tour companies also arrange bus tours through the Rockies. 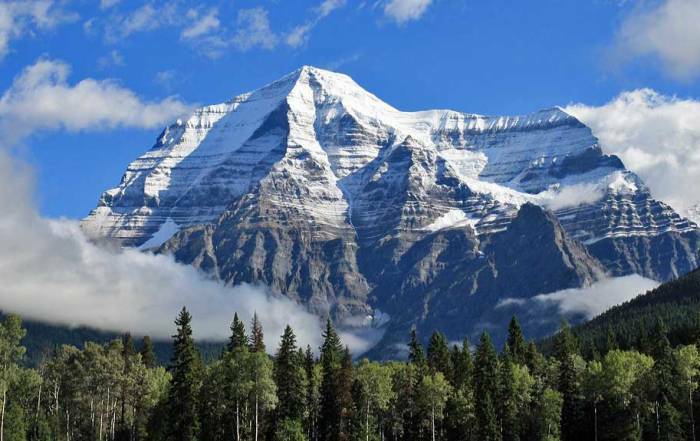 For example, Viator offers the Rocky Mountains Tour: Calgary to Jasper. The Rocky Mountaineer runs through the Rockies from Calgary all the way to Vancouver.